Flying with baby on lap is a challenge. Grab these 14 essential tips for a peaceful, pleasant flight with your lap infant. I’ve almost always gotten that comment when I’ve flown with my kids as infants. If I’m totally honest I’ve had those thoughts as well, especially before kids. Everyone just wants to have a peaceful, relaxing flight. No one wishes for a peaceful flight more than the parents flying with baby on lap! It’s seriously a life-saver for you and your sweet little one. It has saved me a ton of agony. And if you’ve ever held a screaming baby on a flight (and I have) then you know that I do mean agony. Always feed your baby during takeoff and landing. Try to time it for the exact few minutes the plane is climbing through 5-15,000 feet. They usually ding the flight attendant bell at 10,000 feet to alert you that electronics can be used. You’ll also recognize it as the time your ears start to pop. Babies can’t control when their ears pop. As the pressure in the air changes, their ears start to hurt. Instead, feeding your baby will allow them to naturally release the pressure in their ears by swallowing. They won’t even know it’s happening. If you’re baby is asleep, let him or her sleep. Their ears will release without them noticing. If they do awaken and seem fussy, feed them then. But otherwise, enjoy the peaceful snuggles! 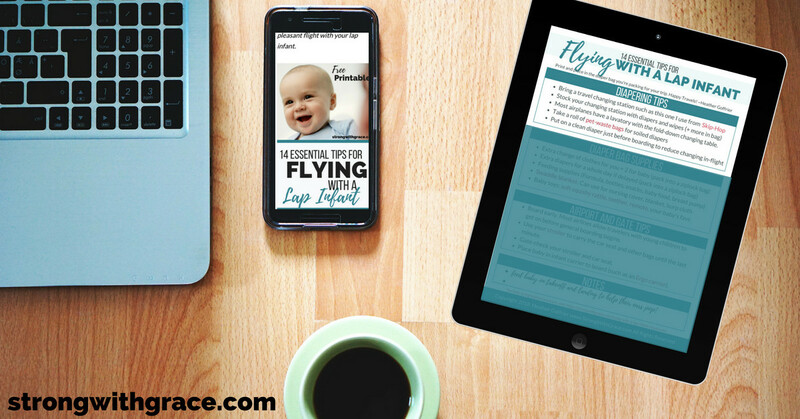 Feeding your baby at takeoff and landing will get you a long way toward that enjoyable flight. 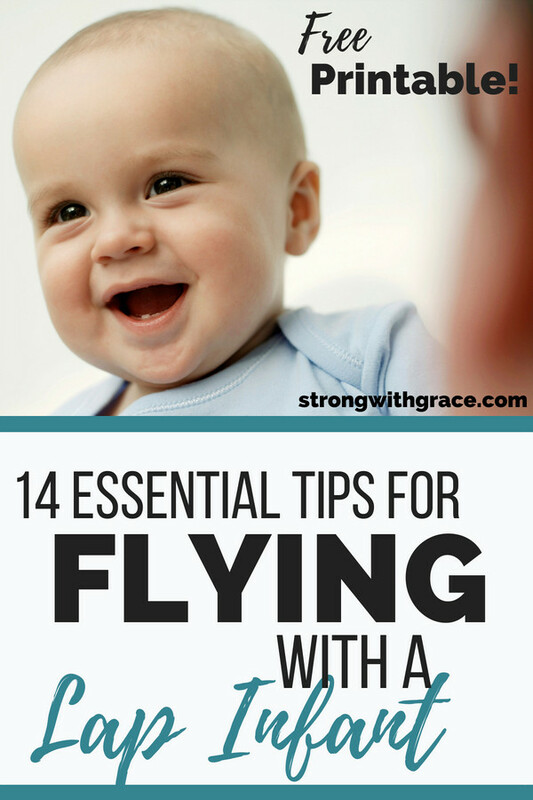 However, you don’t want to miss my 14 Essential Tips for Flying with a Lap Infant. It’s a free printable that will make your trip SO much better. Grab your free list today and enjoy the friendly skies with a smile and a happy baby!